Donating time to Ken-Ton Meals On Wheels is gratifying, life affirming, fun and takes as little as a few hours a week! 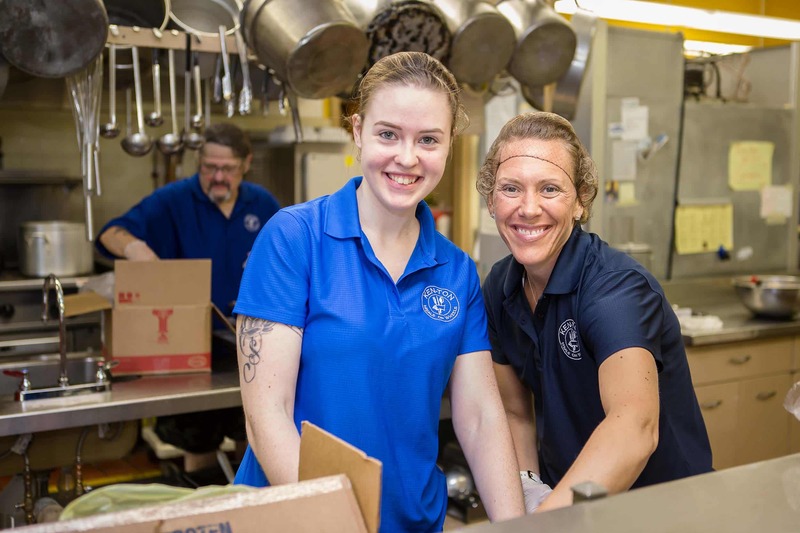 For those considering volunteering, Ken-Ton Meals On Wheels offers options either as a driver/server who delivers meals to clients, or as a meal preparer and kitchen worker in the morning. A driver or server arrives at 169 Sheridan Parkside at 11:00 AM, picks up the meals in coolers and hot bags, takes them to their car, delivers using an easy-to-follow route sheet, then returns the equipment back to KTMOW. Generally you are finished no later than 12:30 PM. We currently have 18 delivery routes all within the Town of Tonawanda and Village of Kenmore. KTMOW has a great need for volunteer drivers and servers with flexible schedules who can fill in when volunteers who have a regular route cannot make it. Kitchen volunteers arrive between 7:30 and 8:00 AM, and work to about 11:30 AM. Our biggest need for extra kitchen help is on Wednesdays and Fridays. You can reach Tina by calling 874-3595 any morning between 9:00 a.m. and 1:00 p.m. or email her at tina@kentonmealsonwheels.org.